I strongly support the Pushcart nominations of Michael Lee Johnson and Donal Mahoney for poetry and Bruce Kamei for non-fiction. However, all, ALL, of the listed authors are worthy of nomination! I strongly support Bruce Kamei for his submission, The Educational Bow. 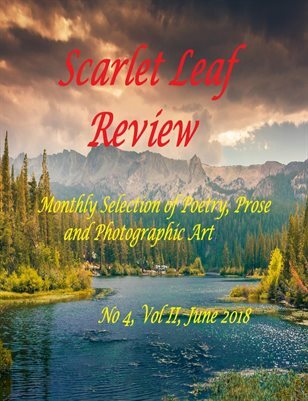 I strongly recommend for Soodabeh Saeidnia & Michael Lee Johnson for poetry section! Please consider this comment as my vote! My recommendation and support goes to my all time favorite poet Soodabeh Saeidnia! My recommendation also goes for Scott Thomas Outlar for poetry. I wholeheartedly support Soodabeh Saeidnia for her poetry - Apple fruit of an old oak. Please consider this as my vote for her. I support MIchael Lee Johnson and Soodabeh Saeidnia, and Ken allen Dronsfield, love them all, hard to choose. Short story - Alex Csedrik for P.C.C.! I strongly support Alex Csedrik's P.C.C. for short story. my vote is for Alex Csedrik's P.C.C. Short story - Alex Csedrik for P.C.C. I vote for Alex Csedrik P.C.C. I vote for Alex Csedrik's "P.C.C." Kim Bailey Deal! I love her stuff! I vote for Short story: Alex Csedrik – P.C.C. I vote for Alex Csedrik's P.C.C. We vote Kim Bailey deal! I vote for Kim Bailey Deal. I vote for Alex Csedrik – P.C.C. !!! Short Stories- Alex Cedrik (P.C.C.) Both votes if possible. I vote for Frank Light for non-fiction. For poetry I pick Scott Thomas Outlar. His poetry speaks to me. For non-fiction, vote for Kim Bailey Deal. Rick Hartwell – Intuitive Education – May I have published Rick Hartwell and have much respect for his works. I vote for Indunil Madhusanka for poetry. My vote goes to Frank Light for non-fiction! I vote for Indunil Madhusankha. My vote goes to Soodabeh Saeidnia for her amazing poetry: Apple fruits of an old oak. My vote goes to Don Beukes; he touches the heart and soul with his ink! My vote goes for Irsa Ruci and her wonderful poem!!!! Irsa Ruci - Self to oneself, love this piece! My vote goes for Ken Allan Dronsfield . My Vote: Irsa Ruci - Self to Oneself. My vote goes to Scott Thomas Outlar's poem "Naked Dreams." This was tough with all of the great friends I had all nominated. I love Soodabeh Saeidnia's poem 'Apple Fruits of an Old Oak'. 2 for each? Difficult choices!!!!!!!!! MY vote goes to Don. My vote is for Alex Csedrik. My vote goes to Indunil Madhusankha for poetry. Irsa Ruci - Self to Oneself - Refreshing and mind gripping!!!!! A poetess of cool head, deep thought and profound faith. I vote for Alex Csedrik - P.C.C. I like Irsa's poem and I want to vote for her. I vote for Angel Mary, by Rylee Langton for the pushcart nomination, good story times! POETRY: Indunil Madhusankha's "Anthem for a Warlord" and Donal Mahoney's "A Chance to Say Goodbye"
FICTION: T.R. Healy's "Overseas" and Norbert Kovacs's "The Island Interior"
NON-FICTION: Joan Kerr's "Libby's Story" and Frank Light's "October Surprise"
I would like to vote for Indunil Madhusankha under the poetry section. My vote goes for Indunil Madhusankha. I have always appreciated his poetry. My vote is for the Rylee Layton – Angel Mary – September. Great job, Rylee! I want to vote for Indunil Madhusankha for his March poem, "An Anthem for a Warlord". I have always been a great fan of his poems. I vote for the brilliant Rylee Layton – Angel Mary – September. Awesome! I want to vote for the poem, "An Anthem for a Warlord" by Indunil Madhusankha. I want to vote for the poem, "Self to Oneself" by Irsa Ruci. I would like to support Indunil Madhusankha for his wonderful piece, Anthem for a Warlord. Thank you. My recommendation and support for Short story goes to Alex Csedrik – P.C.C. My vote goes for my friend Irsa Ruci. She's so talented!! "My votes goes for Irsa Ruci"
I strongly support Bruce Kamei, for his submission - The Educational Bow. I wish to vote for Indunil Madhusankha under the poetry section. I want to vote for @Irsa Ruci!!! Congrats!!! I really like Indunil Madhusankha's poem and so wish to support him under the poetry section. My votes goes to Irsa Ruci. I like Irsa's poem! I vote for Alex Csedrik for best short story, P.C.C. I vote for Rylee Langton's "Angel Mary"
I vote for Irsa Ruci "Se;f to Oneself", great poem!!!! I vote for Indunil Madushanka in the poetry section. I vote for Indunil Madhusankha! I vote for I. Ruci and Self to Oneself poem. My vote goes to Self to Oneself poem. I'm voting from Alex Csedrik's "P.C.C."!!! Go Alex!!!! I vote for Bruce Kamei's Educational Bow. I vote for Alex Csedrik's PCC. Proud of you boyo! I submit my vote for Rylee Langton, author of the short story Angel Mary. I nominate the intriguing short story Angel Mary by Rylee Langton for the Pushcart Award. I would like to vote for the poem, "An Anthem for a Warlord" by Indunil Madhusankha. My vote goes to Indunil Madhusankha's poem, Anthem for a Warlord. My vote goes to Indunil Madhusankha's poem. Thank You. I really enjoyed Indunil Madhusankha's poem, "An Anthem for a Warlord" and so wish to support him. I would like to vote for Indunil Madhusankha's poem. I want to vote for the poem: Self to Oneself. I enjoyed Irsa Ruci's poem, "Self to Oneself". My vote goes to Indunil Madhusankha's beautiful poem - An Anthem for a Warlord. I vote for Indunil Madhusankha's beautiful poem. My vote goes to Indunil Madhusankha. I would like to vote for Indunil Madhusankha's poem, "An Anthem for a Warlord". My vote goes to Indunil Madhusankha''s poem. I wish to vote for Indunil Madhusankha. My vote goes to the beautiful poem, "An Anthem for a Warlord" by Indunil Madhusankha. I vote for Irsa Ruci. My vote goes to Irsa Ruci, Self to Oneself's poem. My vote goes to Irsa Ruci, I love such poetry, Very nice. We are very proud that our country has a poet like Irsa, and my support goes to the poem Self to Oneself. My vote goes to Irsa Ruci. It is such a beautiful poem, she should be proud of herself!!! Because the evil only weighs to the self…"
Just an excellent piece from Irsa, my vote goes to the poem Self to Oneself. I would like to submit my vote for Rylee Langton and her haunting short story "Angel Mary" for the Pushcart nomination. I vote for Indunil Madhusankha. It's nice poem. I vote of Kim Bailey Deal. I am casting my vote for Scott Thomas Outlar and his poem Naked Dreams in the poetry category for the Pushcart Prize.